A bunch of the guys were treated to a mini break to Barcelona last week, and Barcelona in December seemed to really work! The Spanish weather offered some warm respite from the December chill currently sweeping over Britain. The team enjoyed taking in the sights of this culturally rich city. That building pictured in the background below is the world famous La Sagrada Familia, a classic Gaudi building with his signature look -and well worth a visit. A trip to Barcelona is not complete without seeking out the best food hot spots in the city. The guys highly recommend Sensi Mezzanine - reported to serve some of the best tapas in Barcelona. At night, they enjoyed rooftop drinks at The W hotel and some of even managed to sneak in a visit to Pascha nightclub. 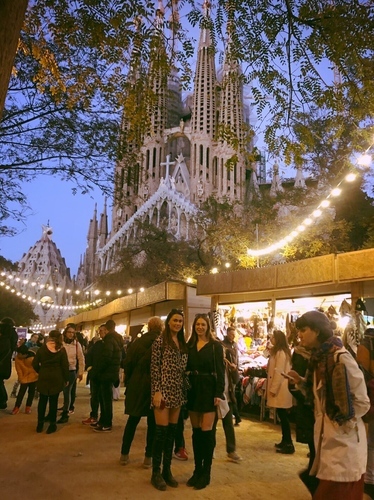 The highlight of the trip was a few cocktails at sunset on the beach and Barcelona's Christmas markets which is something most holidaymakers miss out on due to Barcelona's peak season in the summer. Do you fancy a trip to Barcelona or one just like it? JCW is hiring. 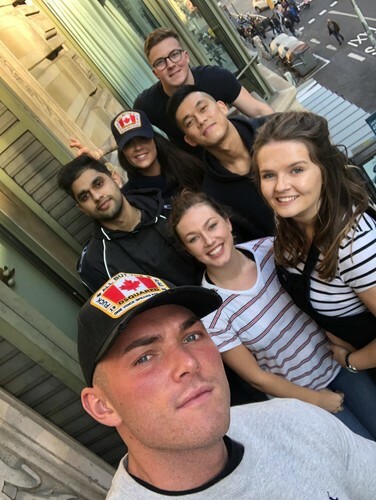 Give our Talent Acquisition Manager, Gemma Hartley a call on +44 (0) 203 589 9287 or email gemma.hartley@jcwresourcing.com for a confidential chat about a career at JCW today. JCW are looking for great people to join our team. We believe that if we look after our people, they will look after our candidates and clients. If you think you have what it takes to join us, click below or see our join us page for employee benefits and more.